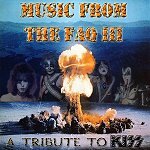 MP3 This Month : KISS Army Brasil "CD Tribute Vol. 2 and Vol. 3." After "KISS ARMY BRASIL - CD Tribute Vol 1." 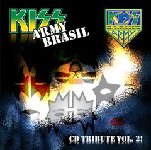 (2006) KISS Army Brasil recently uploaded and "KISS ARMY BRASIL - CD Tribute Vol 2." and "KISS ARMY BRASIL - CD Tribute Vol 3.". Both albums (incl. 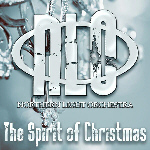 artwork) can be downloaded by clicking here. As reported at KRR last November, singer/songwriter Derek Ryan is working on a new album with producer Jeremy Jeremy Rubolino at Stagg St. Studio in L.A.
Also Bruce Kulick will appear on the album, who did a tasteful guitar solo on "A Work of Art", which was recorded October 2, 2008. CHANNEL THEORY is the musical project of singer/songwriter DerekRyan. The record "These Things" was written and recorded over 3 months in 2008 and will be released early April at the independent Simply Be Records, LLC label. 'These Things' features DerekRyan (vocals, guitar, backup vocals), Jeremy Rubolino (piano, string arrangements), Matthew "Craftsman" Parsons (guitar, piano), Bruce Kulick (lead guitar), Gary Novak (drums, percussion), Chris Chaney (bass). The album is Produced by Jeremy Rubolino and Bruce Kulick, Co-Produced by DerekRyan and Matthew "Craftsman" Parsons (pre-production). 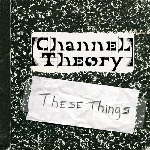 CHANNEL THEORY "These Things" will be available for digital download at amazon.com April 7, 2009, and soon up on iTunes, Rhapsody, and Napster. The CD was produced and recorded in Westchester County, New York between 2007 and 2009 and was mixed by Marti Frederiksen, who has previously worked with AEROSMITH and DEF LEPPARD, among many others. 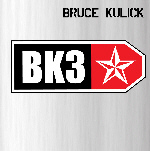 Bruce Kulick will make a "BK3" limited-edition EP available at his upcoming clinics for Allans Music in Australia. 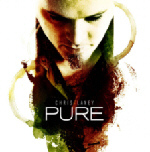 MELBOURNE : Wednesday 1 April 2009 @ 7pm; 152 Bourke Street, Melbourne. BRISBANE : Thursday 2 April 2009 @ 6.30pm; 90-112 Queen Street Mall, Brisbane. ADELAIDE : Friday 3 April 2009 @ 7pm; 58 Gawler Place, Adelaide. SYDNEY - ALEXANDRIA; Saturday 4 April 2009 @ 5pm; 108 Botany Rd, Alexandria. The CD will feature guest appearances by TOTO's Steve Lukather and John Corabi (MÖTLEY CRÜE, UNION, RATT, ESP). 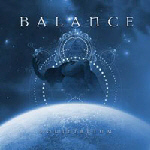 The EP will be available to the general public in mid-April 2009, after Kulick's Australia trip. Rockpages.gr continues their year-long KISS special feature with an interview of a KISS-related figure. This week, Phil Naro, the first singer of CRISS remembers his years behind the microphone with Peter's band but also with the late Mark St.John. Read the full interview by clicking the links below. Wienerworld Ltd music distribution (wienerworld.com) just mailed me a copy of the unauthorized Gig Visual Media DVD “KISS – Resurrection” to review. Just like most unauthorized releases this DVD features some private camera footage filmed by KISS fans. The DVD opens with the 20 minute long Reunion Press conference, filmed April 16, 1996 on the USS Intrepid aircraft carrier, New York. Of course many versions of this press conference circulates, so this is only filmed from a different view. Most interesting on the DVD is the 2nd chapter, which runs about 49 minutes. This part is filmed December 11, 1996 at the Festhalle in Frankfurt, Germany and gives you nice look backstage during soundcheck, and features interviews with technicians, incl. Peter Criss drumtech Ed Kanon. After about 17 minutes KISS shows up backstage for a photo shoot. From there the camera follows the band to a ‘backstage restaurant’ where they’re interviewed. Halfway the interview German band The Artze shows up, sharing their views on the Reunion Tour together with KISS. After the 20+ minute long interview it’s still not time to walk on stage, so the band walks around a little bit, ending up with a funny session to tape some 'KISS opening lines' for Viva Music TV (Germany), wherefrom the band finally could walk to the stage. The last chapter (Bonus TV clip) runs less then 3 minutes and is a band interview taped at the KISSmuseum at the USS Intrepid April 16, 1996… and also contains a few words for the Japanese viewers …. 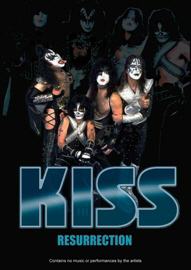 You can order your copy of "KISS - Resurrection" at www.wienerworld.com. 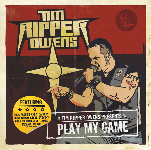 Following his spectacular enlistment by exceptional Swedish guitarist, Yngwie Malmsteen, and his awesome vocal performance on the most recent Malmsteen album, Perpetual Flame (2008), American metal vocalist Tim 'Ripper' Owens (Beyond Fear, ex-Judas Priest, ex-Iced Earth) is set to surprise the public with the release of his first solo album, Play My Game, in May 2009. The offering consists of around a dozen brand-new tracks that Owens composed himself or together with renowned friends, such as Bob Kulick, Chris Caffery (Savatage, Trans-Siberian Orchestra), Mike Callahan (ex-Earshot) and John Comprix (Beyond Fear, Ringworm). The list of guest musicians featured on Owens solo debut is even more spectacular: along with Bob Kulick and Chris Caffery and the others, he was supported by the guitarists Doug Aldrich (Whitesnake), Michael Wilton (Queensryche), Jeff Loomis (Nevermore), Steve Stevens (Billy Idol), bassists Marco Mendoza (ex-Whitesnake), Billy Sheehan (Mr Big, ex-David Lee Roth), Dave Ellefson (ex-Megadeth), Rudy Sarzo (Dio, ex-Ozzy Osbourne, ex-Quiet Riot), James Lomenzo (Megadeth), Tony Franklin (ex-Blue Murder), Dennis Hayes (Beyond Fear) and drummers Simon Wright (ex-AC/DC, Dio), Vinny Appice (Heaven & Hell), Ray Luzier (Korn), Bobby Jarzombek (Riot, Halford), and Brett Chassen. Fans and experts alike will love this sensational all-star line-up and may rest assured that the haunting songs will effortlessly live up to this illustrious cast of musicians: Tim Ripper Owens has never sounded more impressive, melodic and multi-faceted! March 14 : GENE SIMMONS vs. BOB LEFSETZ " Cage Match Debate "
Video footage of the entire 34-minute debate between Bob Lefsetz, who is described one of the music industry's most influential online analysts, and KISS bassist Gene Simmons, which took place yesterday (Friday, March 13) in the main ballroom at the Royal York Hotel in downtown Toronto during Canadian Music Week, can be viewed by clicking here. The debate can also be downloaded as a MP3 Audio file (54 MB) from Medium Online. The debate was convened after Simmons, who launched Simmons Records with Universal Music Canada earlier this year, and Lefsetz, known for his strong opinions on industry issues, traded electronic barbs earlier in the week. According to Billboard.biz, Lefsetz was critical of what he saw as a solely self-promotional appearance at Canadian Music Week by Simmons, who he said had little success with his label in the past. "Just because you're a big musical act, that doesn't mean you're a decent executive, that you can run a record company," Lefsetz wrote to the thousands who receive his regular e-mails on the music business. "That's like saying a great football coach has to have been a star quarterback. They're different skills. One that Mr. Simmons has yet to master. Sure, he made that demo tape with VAN HALEN, but the band ended up on Warner Brothers!" Simmons responded by calling the pundit a "moron" in an e-mail that Lefsetz sent out to his readers. March 13 : KISS - First New Song Title Revealed ! KISS bassist/vocalist Gene Simmons has told RollingStone.com that the band's first studio album in more than a decade will include songs "about the obvious things, citing titles such as "Rotten To The Core". "No secret to life, no political messaging, nothing like that," he says of the lyrics. Simmons confirmed KISS' first album since 1998's "Psycho Circus" will be produced by singer/guitarist Paul Stanley. "I don't have enough time to tie my shoelaces and there's nobody else I trust more than Paul," says Simmons. Regarding the sound of the new material, Simmons says, "There's nothing to prove to anybody. We're not interested in musical trends or anything else. We're too long in the tooth for that. So it's going to be sort of a classic '70s rock and roll vibe. Meat and potatoes. You know, sometimes you just want to go out and have a meat and potatoes thing [and] forget the French dressing." I remember myself visiting a Recordstore in Amsterdam somewhere in 1982, when I found a vinyl Import album by a Japanese all Girl band, simply named GIRLS, which featured a coverversion of KISS "Hard Luck Woman". At the time I couldn't effort myself the costs of such an expensive import vinyl. Starting this website early 1997, I still remembered that record, but forgot the name of the band, had no idea when it was released, and didn't had a clue if I would ever find that record again .... until now ! In 2007 Kunoichi Records (Marketed and Distributed by Universal Japan) reissued GIRLS 1977 "Noraneko" album as a classic limited edition deluxe, miniaturized LP sleeve replica of the original vinyl album artwork (UPCH-20038). Before GIRL's "Do You Love Me" (1980), Franz Lambert's and Fantasy's covers of "I Was Made Lovin' You" (both 1979), or James Last's 1978 cover of "Shout It Out Loud", it must have been the Japanes GIRLS who did record the very first coverversion of a KISS tune in 1977 !. To give you an idea how (vintage) GIRLS looks like, check their video of the album title song at YouTube. -including "Monster" and "100"- will finally see the light of day in 2009. Responding to a fan's letter in the letters section of his official web site, Gene writes, "I've always written 'outside' stuff, but KISS is KISS. And that means the outside stuff winds up on solo albums, or I keep it in the drawer. This year, I plan on releasing 'Alter Ego', a box set of unreleased songs...about 150 of 'em. You'll hear more 'outside' stuff. On August 1st this year "Succession - A 30th Anniversary Tribute to Dynasty" will be released as a digital-download album, via iTunes, Amazon, Napster, CD Baby etc..
Keep an eye on www.dynastytribute.net for the latest details on this Tribute project. Fabio Mainardi of Deuce News recently interviewed Curt Cuomo, who's not only a gifted musician and a songwriter but also a big producer and owner of a great recording studio, the Woodland Ranch Studios in Woodland Hills (north of Los Angeles). FM : You worked with Paul for the Carnival of Souls album and for the latest KISS album Psycho Circus so far. How about writing with Paul? Do you start from scratch or from previous own song ideas? CC : On Carnival a little bit of both actually, but on Psycho Circus that was from scratch writing in the studio together. Paul came up with that now famous guitar part on the chorus and as he did I sang the melody over it and Psycho Circus was born. FM : As you said you are the co-writer of their latest big hit single Psycho Circus. Have you been contacted by Paul & Gene or did you worked together in these last periods? CC : I am not at liberty to answer that at this time. Video footage of former KISS guitarist Ace Frehley laying down a solo on one of his new tracks, "Pain in the Neck", in the recording studio can be viewed below. 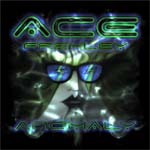 Ace says, "I've been tweaking the solo and this is pretty close to what you'll hear on the upcoming "Anomaly" album."